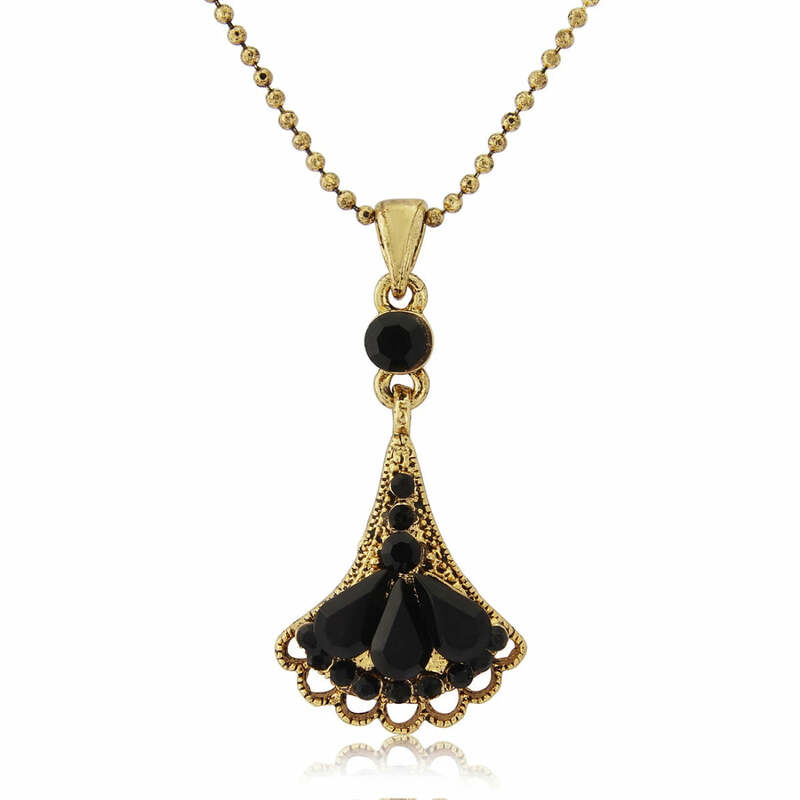 This chic black and gold Art Deco style pendant is the perfect necklace to take you from day to evening with vintage style. A piece to treasure, our Decadence of Deco Pendant is a must-own if you've always admired the chic elegance of Art Deco jewellery. Featuring an antique gold tone fan bejewelled with shimmering jet Austrian crystals, this timeless necklace beautifully blends vintage style with a hint of modern luxe. The perfect accessory to instantly dress up an outfit with a touch of opulence, its understated glamour will take you from day to evening with enviable effortless style. For an added touch of glitz, team with our coordinating drop earrings for a look Daisy Buchanan would covet. An exquisite wedding necklace to enhance a Gatsby glamour or gold and black theme, Decadence of Deco Pendant would make a fabulous gift for bridesmaids to wear on your special day and every occasion thereafter.